The Espace Culturel Louis Vuitton will be presenting a new exhibition entitled 'Making of Makom', which opens on 18 May until 29 May at the Louvre's Cour Napoléon. The exhibition documents the building of two monumental stone structures revealing the multiple sculptural and human dimensions in this extraordinary project. Israeli artist, Michal Rovner created the colossal structures out of remnant stones from dismantled houses in Israel and along the West Bank. 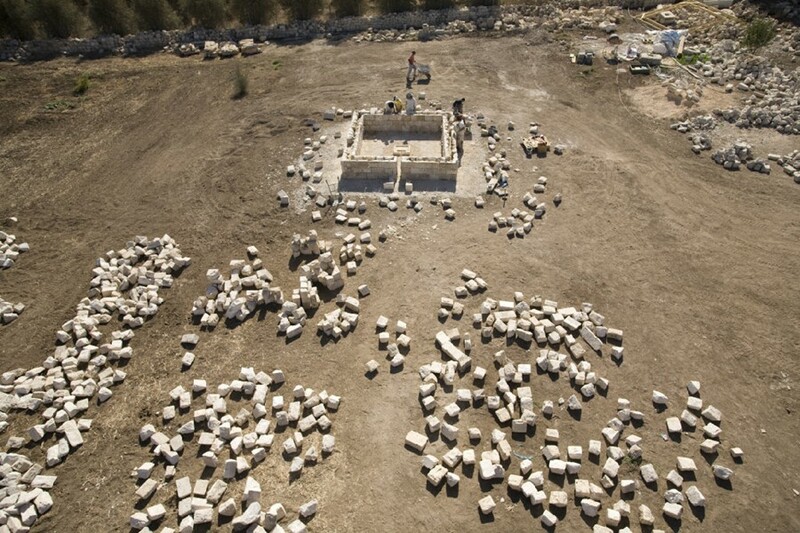 Makom II was erected using light coloured stones collected from rubble of destroyed houses in Jerusalem and Bethlehem. Rovner chose to fit individual stones together to create a coherent structure which surprisingly resulted in a simple square, pierced by a narrow vertical opening that allows viewers to glimpse inside. Facing Makom II is the equally gigantic Makom IV, made from dark stones taken from the border of Syria and Israel. Rovner's ultimate intention for these structures is that they will undergo geographical changes, he utilises a classical archaeological technique of numbering each stone, enabling the work to be deconstructed and reconstructed anywhere. The Espace Culturel will host a special event for the launch of Dans tes bras (Hug), a book created by Israeli author David Grossman and Michal Rovner and published by Steidl. Michal Rovner and David Grossman will discuss the book and their other creations at the Espace Culturel Louis Vuitton on May 26th at 7pm.